As a follow up to my recent trip to Salamanca, it seemed like a good idea to visit one of Castile and León’s other major cities, Segovia. Instead of embarking on another overnight trip, however, I decided a day trip to one of Spain’s most picturesque cities was a better idea. In the end, it truly was, as a few hours was just enough time to explore Segovia’s small streets and beautiful mountain views. Seeing the town from the top. Segovia is eerily similar to Salamanca in some ways – being within the same community, both are small “cities” (more like villages to me! 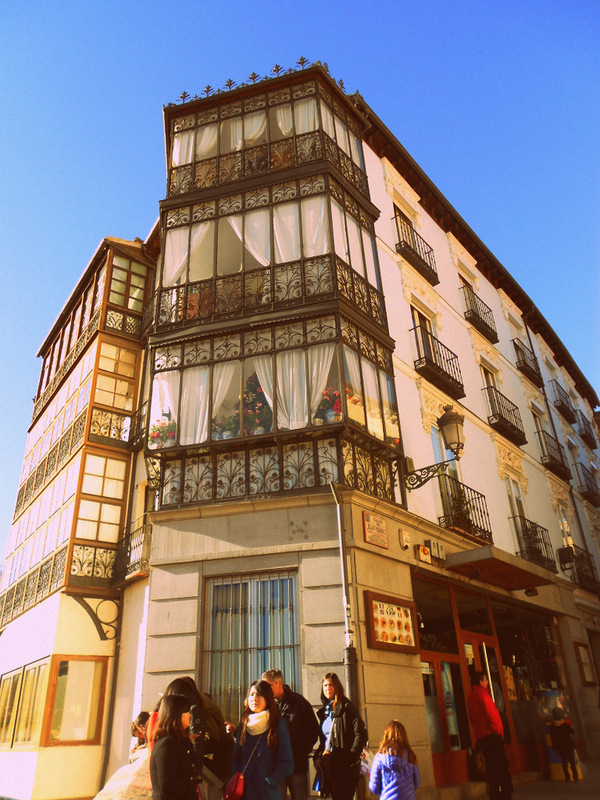 ), have that typical central Spain feel, and are charming in ways only towns their size can be. The people in Segovia, just as in Salamanca, mostly seem like visitors from other parts of Spain, too. In other ways, however, the cities are starkly different. 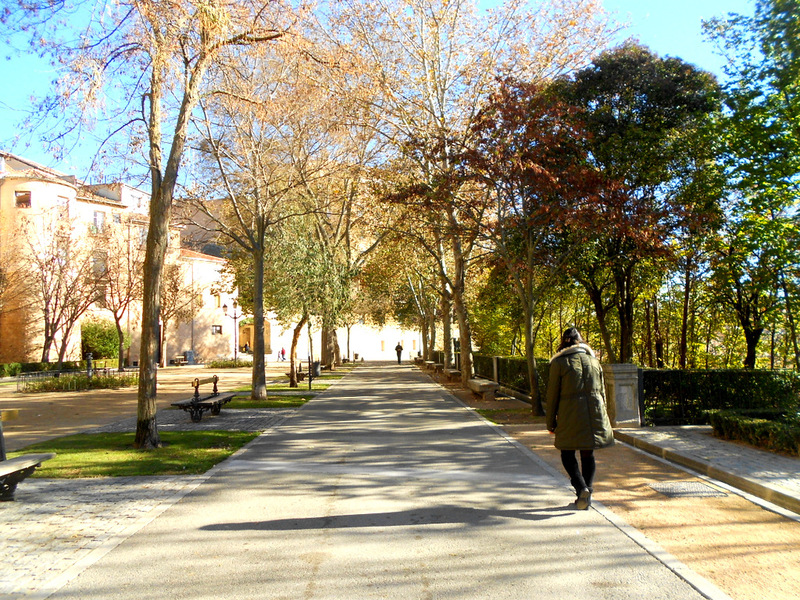 Salamanca boasts some beautiful natural views, with its outer parks and Parisian river. 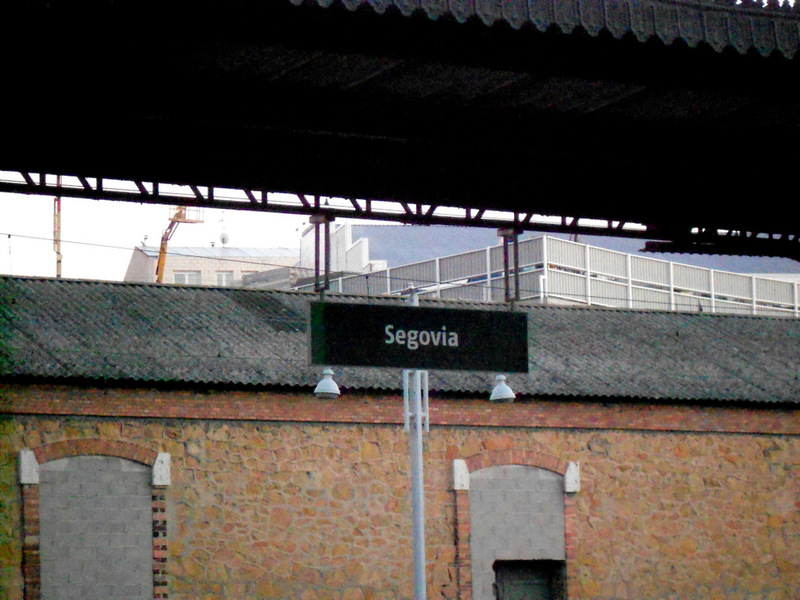 Segovia, on the other hand, is a real hill-side town. 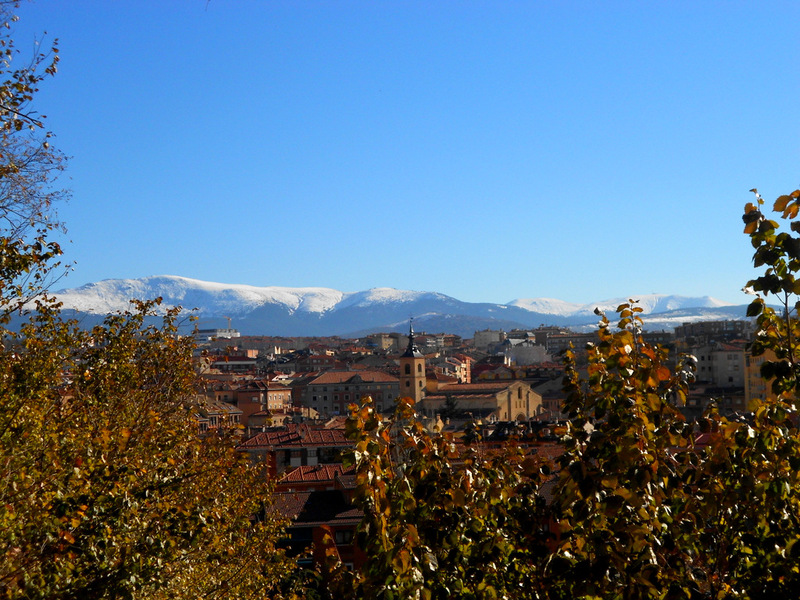 The train ride into Segovia gave me some unforgettable views, with the snow-top mountains well in sight. 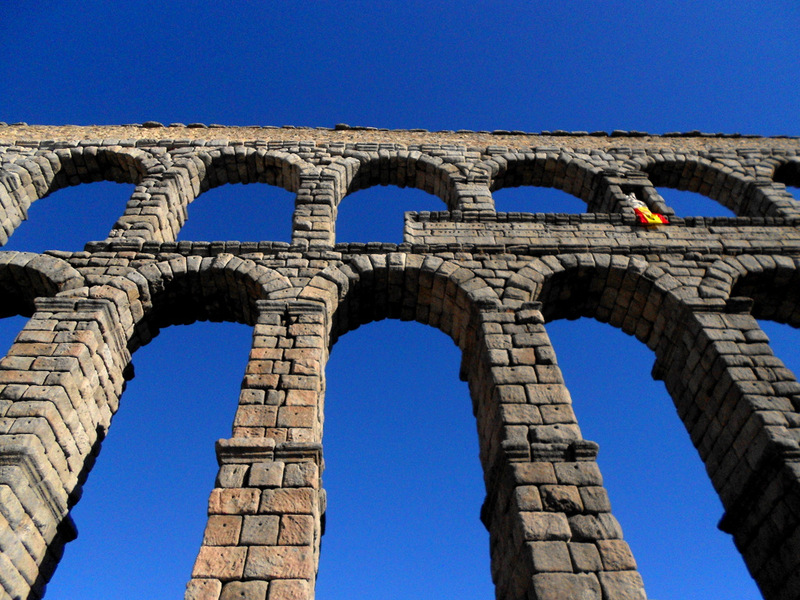 The town also seems to be on an upward slant, with the aqueducts being at the heart of Segovia’s center. It had always been a goal of mine to see at least one aqueduct, and having seen one in Spain, I know I would need to see the same ones in Rome. Despite being in Segovia in December, it was warm enough to walk around the city without the winter jacket I had brought with me. As is typical in Spain, the sun made the day feel 10 degrees warmer than it actually was, though (as is typical, again) this meant any shadowy areas caught us by surprise with how cool they were in comparison. 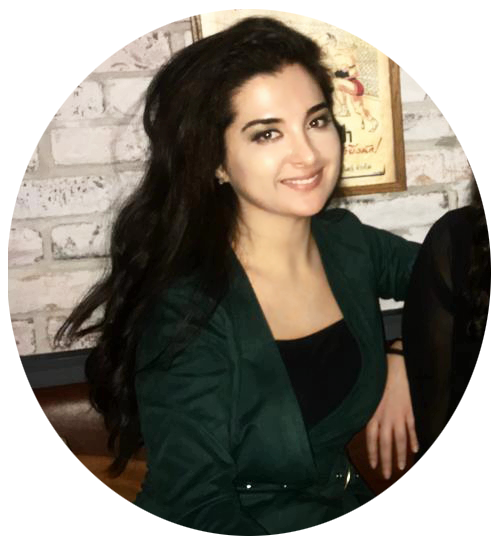 It was a breath of fresh air – literally and figuratively – to sit on a park bench with just a sweater on. It’s been a while since I’ve been able to sit around for a few hours, unfazed by how much time has passed by, simply because the sights and sun were too much to pass up. Segovia offered that to me, however, and I accepted. It’s never my intention to compare cities, but it’s been done before. In this case, the comparison is probably slightly less offensive (who, other than me, decides it’s acceptable to compare Barcelona and Paris?! ), though the outcome is unfortunately similar: I prefer one over the other. 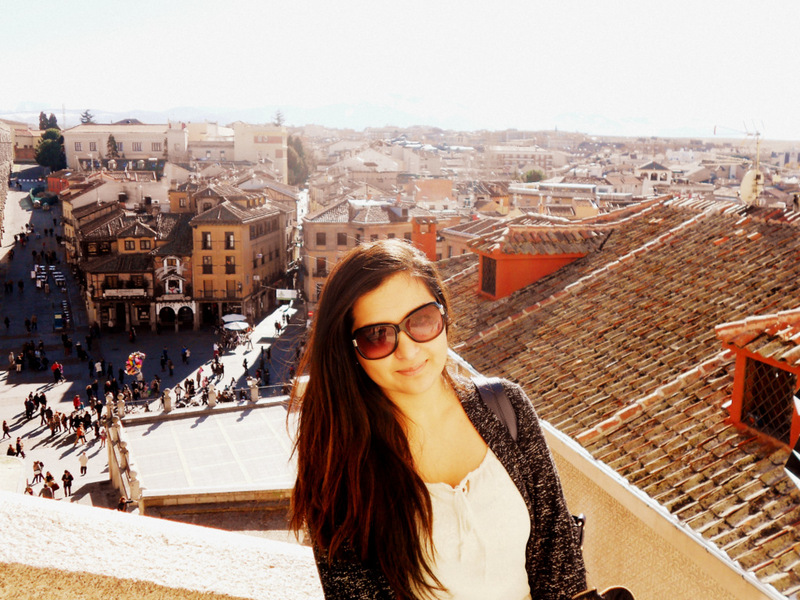 Salamanca is a beautiful city, but Segovia is the one for me. Segovia’s probably a little less grand than Salamanca is, in some ways. Its natural views are more stunning, though its Plaza Mayor (which is a main square found in most of Spain’s major towns/cities) isn’t. Plaza Mayor in Salamanca is extremely similar to Madrid’s, with its symmetrical buildings, tourist traps, and high towers. 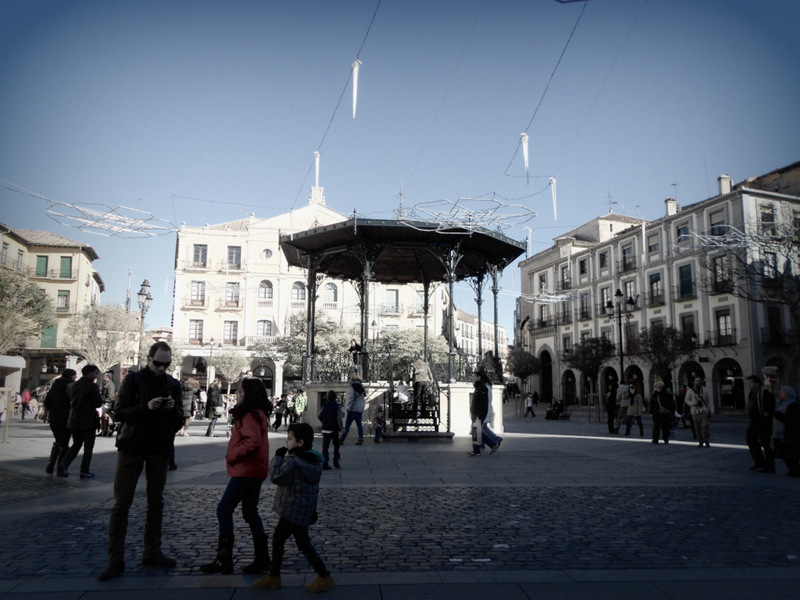 Segovia’s Plaza Mayor is completely different, though. It has a character of its own, being the kind of place you could accidentally stumble onto instead of intently seeking out. 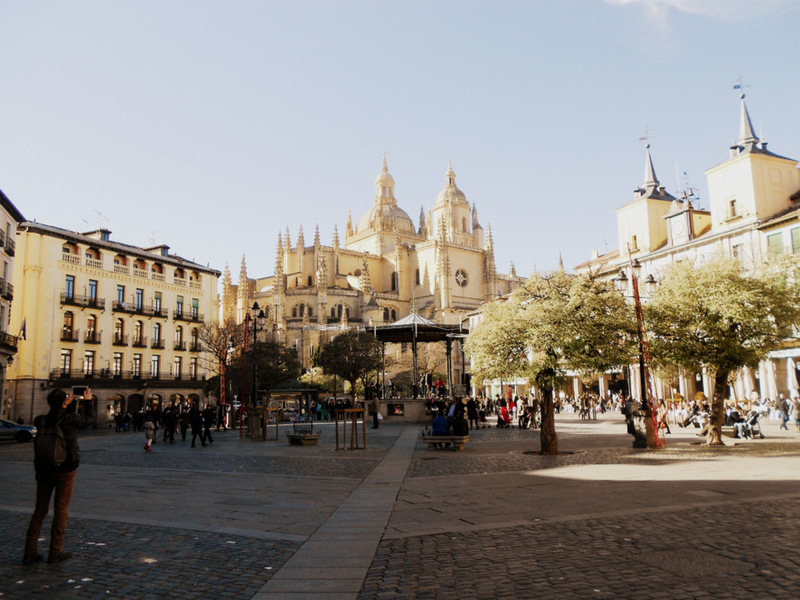 It also has a beautiful cathedral (as seen in the above photo), meaning that one exit out of Plaza Mayor goes to the town’s place of holy worship (which is extremely similar to the ones found in Sevilla and Barcelona) while another one leads to its aqueduct. Does it get any better than that? It was exhilerating to find ourselves looking down onto the subdivisions below, without even realizing we were ascending onto higher grounds. Segovia really is a place for reflection, where quiet street corners can turn into busy cafes and filled restaurants. Also surprising, for me, was how much good shopping Segovia has to offer. I’ve never been a fan of shopping, though lately I’ve been a little less hateful of the activity. As such, to find that Segovia’s main streets had some quality shops I have yet to see (even) in Madrid was a great bonus. 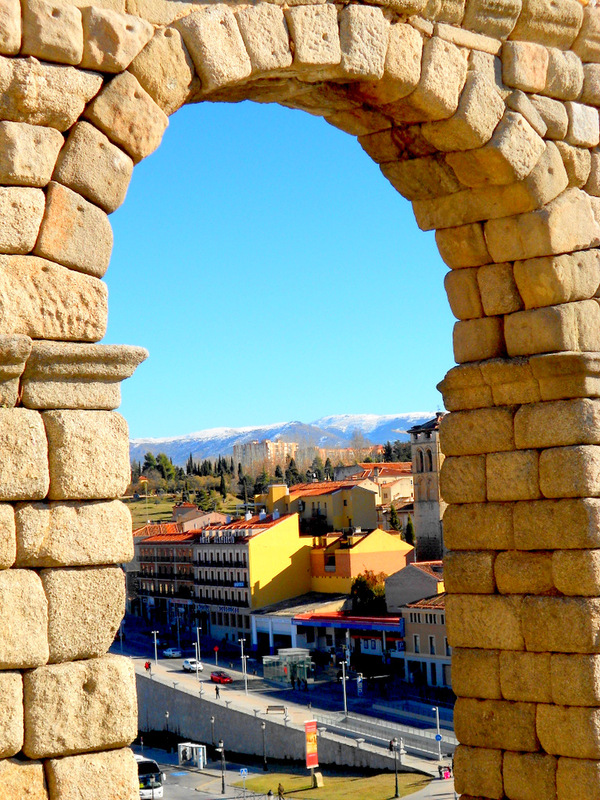 Segovia, it appears, is one of Spain’s hidden gems. It’s not the most exciting town, and it definitely isn’t for anyone looking for a wild experience (you have Ibiza for that). Rather, it’s the delightful little place you kept overlooking, but now can’t believe you ever did. Have you ever been somewhere that took you by surprise? 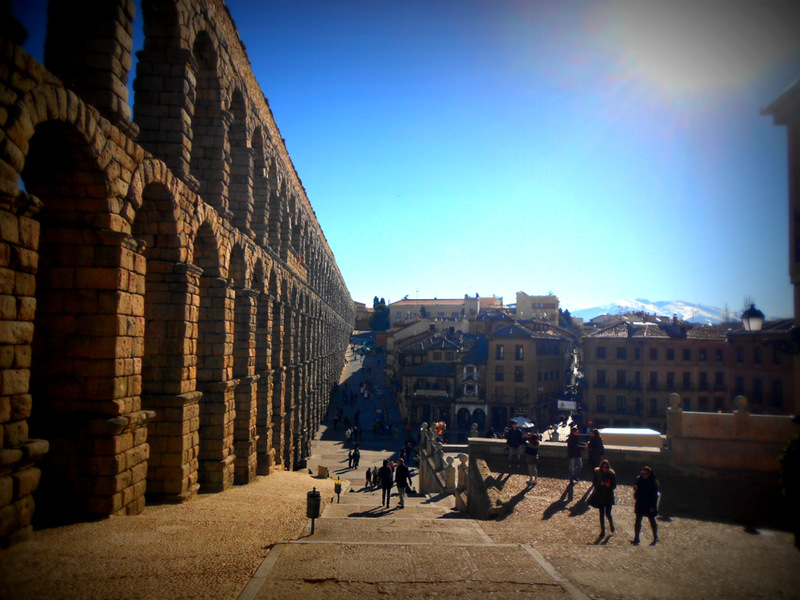 Tags: 2013, Acueducto, Aqueduct, City, Espana, Mountains, Musings, photography, Segovia, Sierra, Spain, thoughts, Travel. Bookmark the permalink. I love Segovia too, as with all things CyL.